The Mafia loves common sense, we live an Anti Idiot rule and therefore, are quite intelligent. I did an online IQ test once, I got over 150 on my score, thats how clever I am. Now, to the point, now I’ve explained I am smart, because I am. The Earth is indeed flat. We know this, its visible all around us, we have a flat landscape, the only images of the ISS appear to be photoshopped and the moon walk landings was staged in a certain tower which no longer exists. The Earth has no curvature. Even at 28,000ft, you cannot see a curve. You cannot go to Antarctica. Its forbidden by the military. This isn’t because the bottom of the globe has secrets, its because after a few hundred miles into the ice, theres a shear sharp drop. The Earth is rising constantly. This gives us the so called “gravity” we feel, because we’re in an upward motion, we are pinned down to the earth. If the earth was a globe, how come planes don’t land upside down in Australia? They don’t, thats because the earth is flat. The Sun & the Moon are the same size and are the same distances from the ground as possible. 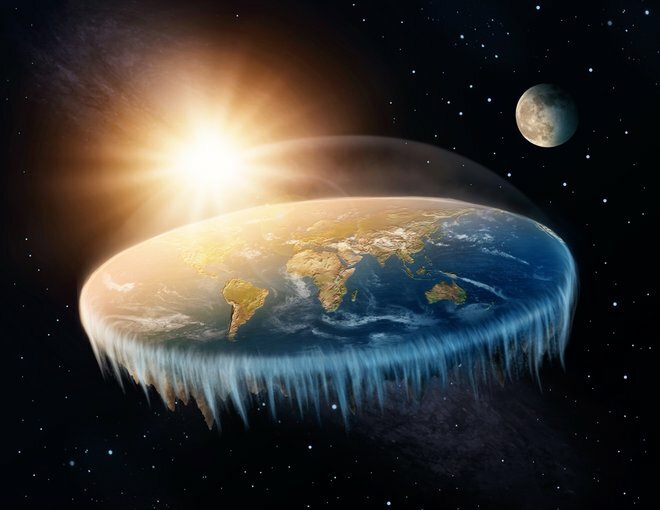 The Flat Earth society has members around the globe, we cant be wrong. If this isn’t enough, go find a YouTube documentary, there are plenty out there.